I received an e-book copy in exchange for an honest review. 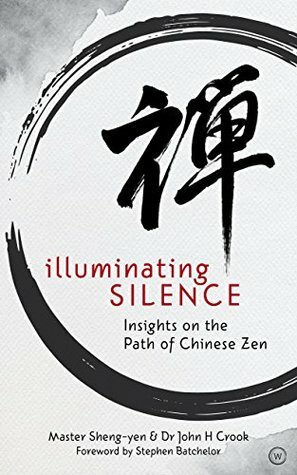 The content of Illuminating Silence comes from Master Sheng Yen, a Chinese Chan master. The book contains edited transcripts of the talks Master Yen gave over the course of two week-long retreats in Wales. The talks were given in Chinese by Master Yen, translated by a Mr Ming Yee and transcribed by Dr Crook. I found this book to be difficult but interesting read. I suppose the only review I can give about this book is based in the fact that I am having such difficulty in thinking of anything – at all – to say about it. There is a great deal to learn from this book, I am sure. I think the key problem for me is that these are transcripts, offered without external commentary. This means that if you find yourself confused or lost (as I often did) there is nothing but Master Yen’s words to guide you through it. What I’m saying is that this book is not for the faint of heart and almost certainly not for the beginner. A lot of Chinese words remain untranslated, and although there is a glossary of terms in the back of the book, the unfamiliar vocabulary was hard to cope with. It took me a long time to finish this book, nearly a month apparently, and to be honest I really don’t think I could tell you more than one thing I learned while reading it. That’s not to say I didn’t learn anything, I distinctly remember many occasions where my understanding of a topic was deepened or a new concept was introduced, I just can’t remember what they were. Perhaps something was lost in the translation, or perhaps I’m just too inexperienced to fully appreciate it. A lot of time was spent dedicated to dissection of a poem, most of which was lost on me. 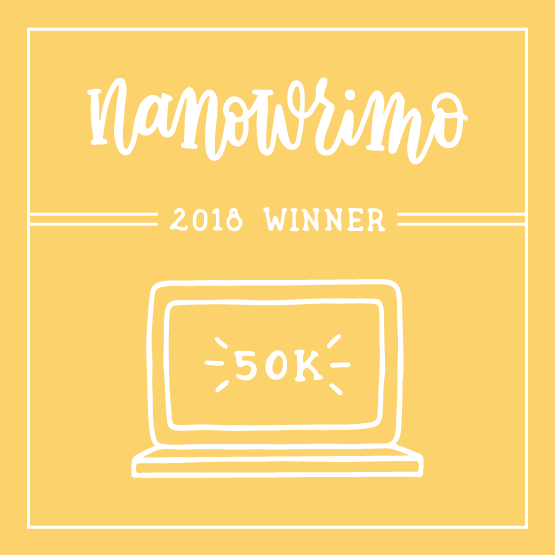 I’m not good with poetry at the best of times, and poetry in translation…eek! During my reading, I made a note of one line, something I almost never do. “It is not important to get enlightened quickly.” This, coupled with frequent reminder that you still have to practice even post-enlightenment stuck with me, and actually I think this message on it’s own made the book worth reading. This book is a tough read, and is probably much more enjoyable with an improved understanding of the topic. Perhaps I’ll read it again some day and find it more accessible. Please Note: I received a copy of this book via netgalley in exchange for an honest review. The opinions contained within are my own and have not been influenced by any external entity! A new interpretation of an ancient text. TL;DR – A skillful breakdown of the Heart Sutra, making an important piece of Buddhist scripture more accessible. 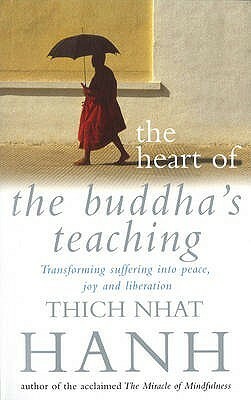 I love Thich Nhat Hanh’s work, I find the man totally inspiring, so I’ll read basically anything of his. I read this specifically because I wanted to start reading Buddhist scriptures, and not just commentaries. The book is broken down into several parts. First up, we have introductions to the book and a very brief background to the Heart Sutra itself. Next we have what I suppose technically needs to be classified as a re-interpretation of the text. It’s more or less a translation but with some sections tidied up for better clarity. What follows is a series of chapters, each focusing on a few lines of the sutra, explaining what the text means and how we are to understand it. Then to finish up we have the original text in romanised sanskrit, and then a literal English translation and finally an English version of the text that was used for chanting at Plum Village from the 1980’s to 2014. This book has Thich Nhat Hanh’s typical easy-to-read style of presentation. The concepts presented in the sutra are difficult and on their own, really confusing. But the text is broken down into sections, never more than a few short lines, and it’s content is fully explained clearly and carefully and allow even a novice reader to take away some important understanding from this text. The purpose of this book was to clear up some confusion about the common interpretations of this sutra. Apparently it is very common to get hung up on the sutra’s wording and get the wrong idea, and frankly having read it for myself I can absolutely see why people would get confused, it is a tough one. However, Thich Nhat Hanh has altered the wording of his translation (hence calling it a reinterpretation) to help clarify some of the finer points. It can get a little repetitive but it the commentaries are extremely helpful in aiding understanding of the text. The inclusion of 3 different English translations/transliterations/interpretations or whatever is a little peculiar. The commentaries focus exclusively on the first interpretation, which makes life easier, but I don’t fully understand why the others have been included and unless I missed it, I can’t find any explanation for it either. It’s nice to have more information of course, but 3 slightly different versions of the same text seemed a little unnecessary. This is definitely a book I will come back to over time. I’m sure there are countless things I have missed and not quite understood fully. This book is, as far as I am aware, an excellent introduction to the Heart Sutra and a great jumping off point for the Buddhist canon in general. Please note: I am in no way affiliated with the author or publishers. I bought this book with my own money for my own reasons. The opinions contained within are my own and have not been influenced by any external entity! TL;DR – A collection of personal experiences, Buddhist teachings and mindfulness practices to help heal the suffering of the world. This was part of my ongoing practice of reading a Buddhism book before meditation. 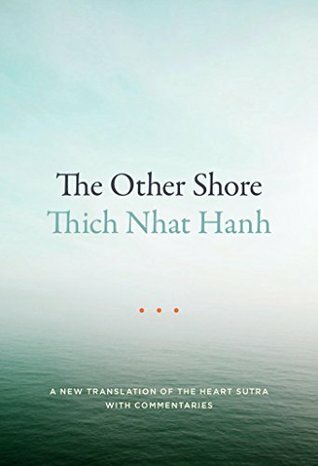 I chose this book because I was so moved by The Heart of the Buddha’s Teaching (Thich Nhat Hanh) that I felt I had to read more of Thay’s writings, and I chose this book specifically because I liked the title. 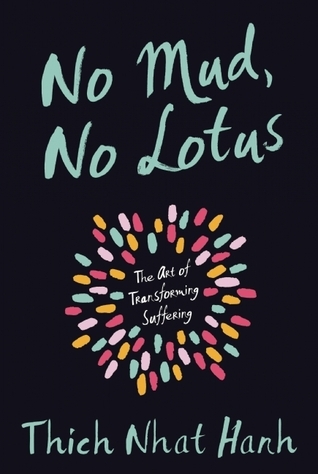 The tagline for this book is “The art of transforming suffering”, and that is what this book is, a guidebook for turning suffering into – well, not suffering. The first (and biggest) section of this book is dedicated to discussing suffering, it’s effects on us as individuals, and on society itself. Each chapter is split into little sections that are written with the authors usual somewhat eclectic mix of personal stories, scripture and metaphor. Thầy also provides useful practices you can try for yourself in times of suffering, to try and provide some relief, either for you or for the people around you. Chapter 5, for example, is dedicated to 5 practices for nurturing happiness, such as letting go of attachment, and simple meditations. The second section of the book is entitled ‘Practices for Happiness’ and details 8 (relatively) simple things we can all try to do, to help transform our suffering and the suffering of others. One thing that really appealed to me in this book was that Thầy always provides multiple forms of explanation and example to any point he makes. Nothing is left to chance. You will often find multiple metaphors, personal examples and stories from the Buddhist canon to help aid understanding of what can be difficult points. Some people might find this annoying and it could be interpreted as unnecessary repetition, but I personally find that it helps me understand each point much better because of it. On a similar note, the combination of traditional Buddhist stories and personal anecdotes is also refreshing. One problem I often find with guides for personal improvement, is that if often the steps seem impossible – if you tried them, you would fail – and once you feel like it’s too difficult, you stop paying attention. Having examples of how Thầy puts this guidance into practice – is really refreshing. But this book goes one step further. We also have examples where Thầy talks about times he has found himself confused about teachings (for example the section entitled “Did the Buddha suffer”) – which is really reassuring. It’s nice to see someone admit that they didn’t always understand how these things worked, because often I find hearing guidance from people comes across as if the knowledge was inside them from birth, which as an often-confused person, is really quite disheartening. I’m not sure this is so much a dislike in the traditional sense – it’s certainly not the authors fault – but at times this book was hard to read. Not in the usual sense, the language is pretty straightforward, it’s written clearly and has lots of examples – it’s not an ‘advanced text’ or anything like that. It’s the concepts addressed in the book. There is guidance in this book that seems difficult, if not impossible to follow. For example, there is a place in the book (although I can’t find the specific page as my bookmark fell out) where Thầy talks about how to respond to somebody else’s anger. He encourages us not to respond in kind, not to become angry ourselves or to shout or defend ourselves. Instead he tells us to listen, apologise for your part in this persons pain and just hear them out. Then later, when things are calmer you can try to transform this persons view should an opportunity present itself. I suppose the thing is, it is all very well explained and I can see what to do, and why I should do it and all those nice things that should make it seem like a walk in the park, but in the back of my head something is telling me the whole thing is nuts. The teachings in this book can be hard to process and accept – that’s just conditioned into us I suppose, and something we all need to unlearn. Just be aware of it. This book is well thought out, brilliantly written and no doubt it will prove incredibly useful in the future. I have already attempted to put some of the teachings into practice. The book is clear, but some of the concepts are hard to digest. Your mind may try and reject them, even though they are really good stuff. My advice is if you find yourself resisting something in the book, put it down, breath deeply for a minute or two, then start reading again. It will be worth it. This book is now on my re-read pile. I recommend this to everyone. TL;DR – This book is a basic introduction to the foundations of Buddhism, taught from the point of view of Zen Master Thich Nhat Hanh. Absolutely recommended. The book covers the absolute fundamentals of Buddhism. Thầy introduces us to the Four Noble Truths and the Noble Eightfold Path and a handful of other concepts he considers to be the bedrock of the Buddhist faith. The writing style is quite unusual – I have no idea of this a trait of Zen masters, poets, Vietnamese folks or just a personal quirk but it seems quite unique. Specifically, the writing seems to flow quite rapidly from one thing to another, usually from explanation to metaphor and back again. I don’t personally find it difficult to read because my mind tends to wander a lot anyway and I found it actually helped me take things in, but some people my find it a little tricky to deal with. Thich Nhat Hanh (Who I will refer to as Thầy (teacher) from now on) is not only a Zen master but a poet too and this look is laced with sections of poetry on related topics. It’s a nice touch although I confess I am far to ignorant of poetry to be able to suggest how good it is. The book is well referenced, linking to canonical texts, other Buddhist teachers works, and other books Thầy has written. It also includes, in the final section, a small selection of translated discourses which had been mentioned in the text. I’ve been trying to read a Buddhist text before my evening meditation and I just happened to buy this book not so long ago. I had listened to a guided meditation by Thich Nhat Hanh and found his insights really struck a chord with me. Conveniently, this book also took up a position in my reading challenge in the “A book that will make you smarter” category. Thầy has devoted a considerable amount of word-space to the teachings of the Four Nobel Truths and the Noble Eightfold path – 16 chapters in fact. He breaks down the teachings into their component parts, explains these parts, often with the use of poetry, metaphor and canonical sources. Then he explains how all these elements are connected, how the interplay and are how the ‘inter-are’ – when you truly focus on one element, you will be practicing all the elements automatically. The third section of the book is dedicated to what I hesitate to call lesser known teachings. Perhaps if you have a good background in Buddhism then you would probably at least know what they were (I knew a handful) but if you are new to Buddhism then the chances are you wouldn’t know them. These teachings are well explained and most importantly linked in to the other elements. It was really good to read about these other important teachings. While I was reading this passage (and many others), suddenly the ideas behind impermanence, rebirth and all sorts of other things started to make a bit more sense. The book is full of useful metaphors like these and by the end I felt like my understanding of the fundamental concepts was improved. All the way through I found myself learning new things, and understanding concepts I already knew about much more clearly than I ever have before. I’m sure I missed more than I took in, and this book will definitely become a book I will re-read over and over. The main reason this book is ranked ‘exceptional’ rather than just 5 buttons is basically because of my emotional reaction to text. With every chapter my understanding grew and I had clear guidance to help me understand some difficult concepts and encouragement to apply these things to me own life. I really strongly felt motivated to make improvements in my life and to follow the teachings of the Buddha more closely. I felt a really strong emotion of loving kindness in my heart as I read this book and that feeling continued after I put the book down each night. It was a rare experience and one I feel very happy to have gone through. I genuinely feel this may be one of the most important books I have ever, or indeed will ever read. Everyone with an interest in Buddhism, from the absolute beginner to the advanced practitioner. Everyone generally. I would recommend this book to everyone actually – the contents are very Buddhism-centric (obviously) but there are lessons to be learned from this book that everyone from all works of life could make use of. This book is probably one of the best books on Buddhism that I have read for a beginners view. The concepts can be difficult but Thầy offers excellent guidance and explanation to help you understand. The book also contains a good deal that would be of value to a more experienced practitioner. Yes, it’s good as a reminder of the basic teachings but the poetry and imagery of this work make it well worth reading as a guide to deeper understanding and encouragement to deeper practice.